(Newser) – Federal regulators announced new rules Wednesday governing the quickly growing prepaid debit card industry, an effort more than two years in the making that should bring basic account protections to its customers, who are often financially disadvantaged. Prepaid debit card issuers will have to provide their customers with basic account information like balances and transaction history free of charge, the AP reports. 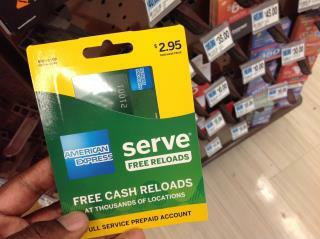 Protections for lost or stolen cards will also be expanded to prepaid debit cards. Fees for the cards will have to be more clearly disclosed on the packaging. The most important aspect of this story is lost in news summaries: Richard Cordray, director of the Consumer Financial Protection Bureau just made law. Obama and his administration have created more executive rules and laws than any other. This is why he is called the imperial president. He disregards the Constitution and Congress by making laws with his pen and phone. I received one of these cards as a gift, but the fees to use it and inability to figure out the balance on it until actual point of sale made it a really bad deal. Hopefully these new regs level the playing field between pre-paid and bank issued cards. Prepaid cards are used by all sorts of people, including college students who get them from parents, employers paying low level workers (landscapers in my area pay employees who don't have bank accounts, as well as casual workers) people in bankruptcy or with bad credit, travelers who don't want to risk their bank or credit card accounts being accessed while abroad, kids too young to have accounts or credit .... the list is long.